“People In Hell Just Want A Drink Of Water”: When it comes to neighbours who’ve been through terrible hardship, no one asks all that much of you. You’re not going to fix their problems, but you can extend just a little kindness and that’ll go a long way. This is another story about a community rather than an individual. These stories tend to say something about how communities work, treating these groups of people as a flawed individual. I see what people mean when they call Annie Proulx ‘deterministic’. If an individual hero has some choice in how s/he acts, a community is not a sentient being — once a certain social group has been formed, things must take their course. I am feeling that way lately about the state of politics. We’re entering a new age of right-wing horribleness, and there doesn’t seem much we can do about it until ‘things have taken their course’. The best I’m hoping for in 2017 is that this far right thinking will swing back hard the other way, afterwards. After what? I don’t know. Determinism was popular with geographers in the early decades of the 20th century (when this story is set) but fell out of favour because it became linked to justifications for imperialism and racism. Jared Diamond, who in 1997 wrote Guns, Germs, and Steel did a lot to restart the conversation about determinism and basically made it okay to talk about that again. Annie Proulx was of course writing these Wyoming stories at this exact time. There must have been some sort of zeitgeist. Now it is okay to look again at the ways in which a physical environment (climate, natural resources, disease, plagues) shape individuals and cultures. 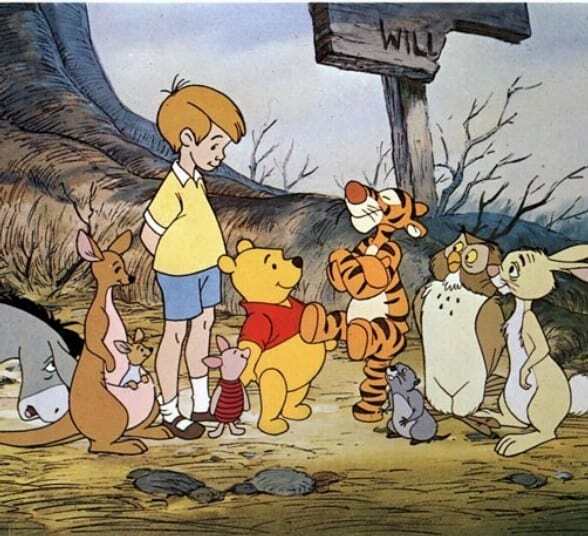 Winnie the Pooh is basically a modern version of an archetypal legend: The story of a peaceful animal kingdom ruled by a single benevolent human being. Like Adam, Christopher Robin gives names to his objects. Winnie the Pooh has been described as not really a book for children, but rather ‘collegiate’. (Sure enough, my mother bought me the complete hardcover works when I was in university. I hadn’t truly read them until then — like Seuss’s The Lorax, the stories had always been enjoyed more by my mother than by me.) In the early years the books were very much in vogue among adults but were later condemned by some as being smug/bourgeois/whimsical. Winnie is like The Bee Gees — he tends to go in and out of fashion, but unlike The Bee Gees, he’s currently in fashion. People don’t complain about his whimsy much these days. Roger Sale said that the Pooh books are essentially about the fact that Christopher Robin is now too old to play with toy bears. Maria Nikolajeva says that ‘the books present a subtle balance between the creation of Arcadia and the subversion of it, so that our final interpretation of them can easily topple over to either side, which we also see clearly in many studies of Pooh’. She explains that Milne tries to create an illusion that Paradise is indeed eternal, while the text subverts the author’s intention. Apart from his Pooh stories (written 1924-1928, A.A. Milne wrote plays for adults. After his four Pooh stories that’s all he wrote, until he died in 1956. Food is an important part of Pooh’s paradise, though surprisingly little is said about it compared to, say, The Wind In The Willows. Pooh is fixated, of course, upon ‘hunny’. Food is always joyful. Most adventures end with Pooh going home to eat lunch. He is always excusing himself to go home to eat. He lives to eat. Pooh immediately interprets unfamiliar words as food, which is a good source of humour. A similar technique is used in the more modern book Guess Who’s Coming To Dinner, in which the animal protagonists structure their days around mealtimes, and almost don’t live to tell the tale. As in many children’s stories, a picnic is an important part of any outing. Food takes a less significant role in the stories once they move from mythic to linear (i.e. when changes start to occur), when Christopher Robin’s departure from this world is imminent and later becomes a fact. Food moves into the background because emotional development comes to the fore. Drama and excitement center on the capture of strange animals or the rescue of friends in danger. The danger is always from natural causes: accidents, floods, storms. As soon as real fact or observation is introduced, the elaborate system the characters have concocted to explain how the world works collapses. For example, the story about the Woozle. Alison Lurie sees Pooh books as an intact idylls, with their strong “reversal of parental authority”. The Forest is a self-contained universe without economic competition or professional ambition. Any danger that can threaten always comes from natural causes. This is similar to the idyll in the Moomin stories. Apart from occasional bad weather, there’s nothing unsafe about this world. Although the setting has no GPS coordinates, the setting suggests Milne was influenced by pre-1900 Essex and Kent, where Milne spent his holidays as a child. (At least, it’s more like this than like the more thickly settled countryside of Sussex, where he lived as an adult.) The landscape of the Pooh stories is quite bare and uncultivated, compriison mostly heath, woods and marsh. There are many pine trees, but the most common plants are gorse and thistles. Rain, wind, fog and snow are all common — this is a world with all four seasons. Apart from occasional rough weather, this is a perfectly safe world. The world is a stable one. Tigger’s and Roo’s arrive in the Forest is like the appearance of a sibling in early childhood, inexplicable and unexpected. Both characters soon become an integrated part of the idyllic world. Humphrey Carpenter sees in the Pooh books the Biriths Goldne Age’s farewell to enchanted places. The toys represent the childish part of Christopher Robin. They cannot follow him out into the Wide World. All scenes that take place at Christopher Robin’s house take place outdoors, including the party he gives at the end of the first book. The small, self-contained world of Winnie The Pooh is a bit like the world A.A. Milne grew up in. His father was headmaster of a small suburban London school for boys — Hensley House. Milne’s sons joined classes as soon as they were old enough. In this environment there is no economic compeition or professional ambition. There are also no cars, planes, radios, telephones or war. The Forest is a natural world, where civilization has not yet entered, at least not in the beginning. It’s basically a modern version of an archetypal legend. A peaceful animal kingdom is ruled by a single benevolent human being. But the final threat to the Forest comes from knowledge and education. Pooh’s poems represent oral, mythical culture but the education Christopher Robin receives on the outside is written and therefore linear. When Christopher Robin writes his first correct sentence, he takes a step away from the world of innocence. The Forest is a child’s inner landscape. The characters are humanised toys rather than humanised animals but there’s not much point in making a distinction. Each of their characteristics doesn’t have much to do with their real-world animal counterparts, except that Piglet likes Haycorns (as do real pigs, apparently). Milne claims that he did not invent most of the characters but merely took over the toys that Christopher Robin happened to have. He looked at their faces and “merely described” what anyone could see for themselves about their characters. “Only Rabbit and Owl were my own unaided work.” However, a closer look at Milne’s life shows that he subconsciously based relationships on his own. Alan was his father’s favourite son. Likewise, Winnie-the-Pooh is the favourite of Christopher Robin. Milne senior is Owl — as a child A.A. Milne thought his father knew everything but later realised a lot of what he’d ‘known’ was wrong. (An experience that happens to any adult, perhaps?) His mother is probably Rabbit, living in a state of preoccupation with small responsibilities and bossy concern for the duties of others. (Notice that his parents are the only characters Milne invented for himself.) Milne was closest to his brother Ken, only sixteen months older than he was. Like Pooh and Piglet, these two were inseparable. Apart from Kanga and Roo there are no family relationships — another similarity to a boys’ school. Like a schoolboy, Pooh lives in a world of eccentric but loyal friends. Their main activities: eating, exploring, visiting and sports. Some feminist critics have ascribed Pooh with gender characteristics. Children’s literature critic Maria Nikolajeva argues for a gender-free Pooh. The Forest is a ‘pregender’ universe. Note that the voice of Pooh, when adapted for television/film is quite high pitched, though narrated by an older male. This is both ‘youthful’ and results in a sexually ambiguous character.The characters of the Pooh stories can be viewed as a ‘collective protagonist’ (from Jungian thought), with each character representing faults and virtues particular to some adults and some children, but Pooh himself (the hero) has faults and virtues common to children. I argue that no character can be genderless because in English we have no gender neutral pronoun. The characters are ‘sexless’ rather than genderless. Pooh has psychological weaknesses that make his character interesting. His virtues and faults are common to the Every Child: simple, natural, affectionate. He continually falls into ludicrous errors of judgement and comprehension. He is so greedy that he eats Eeyore’s birthday jar of honey on his way to deliver it. All of us at birth are stupid and greedy but also loveable. Milne himself described this quality of children as ‘brutal egotism’, but always combined with natural innocence. Although slow, Pooh always comes through in an emergency. It is Pooh who rescues Roo when she falls into the river. Later he rescues Piglet. The characters are introduced gradually, one or two at a time in each story, which is like a child’s gradual discovery of their own traits. Pooh is the bland, confident, mystic child. Piglet is the small, nervous but very brave child. Piglet moves in with Pooh, which might be seen as a fusion of character. Piglet eats acorns. Piglet is used to mock cowardice. Tigger is the wild child. He is fussy about his food. His attempts to find suitable food for himself is a search for identity. He must find his place int he hierarchy of the Forest (remember, the Forest equals childhood). Tigger is the only animal who doesn’t have a house of his own and stays with Kanga. This emphasises his smallness. (Not his physical dimensions but his general bouncy demeanour, which is childlike.) Normally — if he were a real animal — he would have gobbled up Kanga. This further disarms him. He is at the ‘pre-mirror’ stage of child development, and doesn’t recognise his own reflection. He is a baby who has just been weaned, tasting his mother’s different foodstuffs. Milne uses Tigger to mock verbal hypocrisies of greed. Roo is the baby, and critics find it difficult to say much interesting about Roo. Rabbit often thought to represent is the egocentric, sarcastic adult. Rabbit is the most conservative part of the collective protagonist. He is against change. He wants to get rid of Kanga and then Roo, then Tigger. But Rabbit is also the most childish. He is the most reluctant part of the child. This is a stubborn child who has made up his mind and is unwilling to change. (Perhaps he is really a very old man.) Rabbit is used to mock polite etiquette. Owl is the pretentious and insecure egocentric adult. Kanga is the loving but firm mother. Eeyore — together with Owl, Eeryore is closest to the world of adults. This is partly symbolised by his food. Eeyore eats thistles, rather than the sweet foods of childhood. Christopher Robin is small, powerless and oppressed. While Pooh is the child as hero, Christopher Robin is the child as God. He has the function of deus ex machina in the stories, stepping in to save the day. He is the ideal parent. He is both creator and judge — the two divine functions shared by mortal parents. He does not participate in most of the adventures but usually appears at the end of the chapter, sometimes descending with a machine like an umbrella, a popgun etc to save the situation. But Christopher Robin is never focalised, whereas all the other characters are. The story progresses toward an increasingly adult, detached view of the events. This kind of narration is typical of idyllic fiction. In the Pooh stories, there is a metafictive father telling these stories to a metafictive son over and over again. There is much irony between the words and the pictures, for example when Pooh is stuck in the hole because he’s eaten too much honey. Christopher Robin reads him a ‘sustaining’ book, which happens to be an ABC book, and opens to the page for ‘Jam’. Both Milne and Shepard (the original illustrator) make fun of the child. There is another sort of irony addressed to adult co-readers. These passages mostly appear at the beginning of Winnie-the-Pooh — there are none in the sequel. They take the form of condescending conversations between the author and Christopher Robin. The following example shows that behind the godlike character of Christopher Robin (who fictionally created the cast in his mind), is the even more godlike figure of A.A. Milne, who created everything. “Was that me?” said Christopher Robin in an awed voice, hardly daring to believe it. Milne’s work contains hidden miessages. He pretends not to understand long words and makes fun of people who use them. He employs a special form of punctuation, capitalizing words usually written with a lowercase letter — in the latter half of the 20th Century this was done in theatrical and film publicity, but is now done frequently on the Internet, often to mock the thing that has been capitalized. The subversive side effect of capitalising common nouns is to weaken the words and by extension the things that they stand for. When Milne uses a word it means what he tells it to mean. ‘Expeditions’ and ‘Bears’ mean something specific to the world of the story. See: The Pooh Perplex, which is a satire of literary criticism. These books were perfect for that, since they don’t seem to stand up well to such criticism. A catchy seventies song by a couple of guys with awesome shiny hair. It’s called Pooh Corner. A.A. Milne was never particularly proud of his Winnie the Pooh books, always aspiring to see success in writing for adults. Nor did he especially enjoy children, though he’s not alone in that. A lot of the most beloved children’s writers did not like children — rather, they seemed to write to revisit the child within themselves. I Want My Hat Back is one of a trilogy of books written and illustrated by Jon Klassen. The plots are not linked and the characters are different. But they all feature hats. The other two are This Is Not My Hat and We Found A Hat. Holly Storck-Post at SLJ recommends these Jon Klassen books for use with older students in the classroom. Why are we so bent on brief? Is it because children have shorter attention spans? (They do. We all do. Or do we?) Is it because parents are working harder than ever and are too tired to face long reading sessions at bedtime with their kids? Possibly. 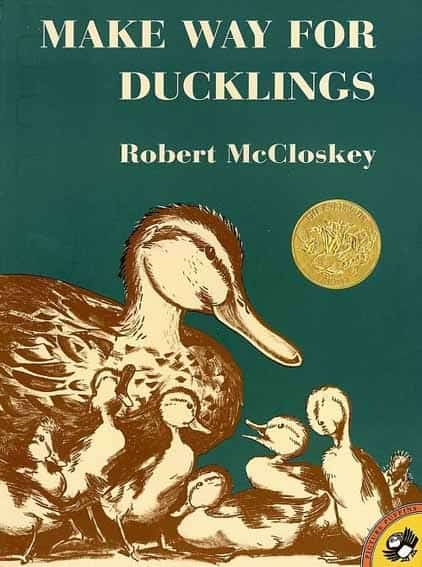 Or is it because we are currently experiencing a trend of short, meta, funny picture books that don’t unfold a story with characters so much as riff on a clever idea? That’s a teeny piece of it, surely. – Pandering to, or presuming shorter attention spans? I Want My Hat Back is also interesting for the variety of reader responses who think that picture books must star morally upright characters; that children are vessels waiting to be filled with good examples, incapable of questioning moral grey areas. These notes draw heavily from a Narrative Breakdown podcast called The Power Of Irony. See also: All Good Stories Are Ironic from Cockeyed Caravan blog. Irony isn’t used the same way globally. I discovered when I lived in Japan as a teenager that the Japanese language does (or did) not have much facility for verbal irony. When a friend came to visit my host mother, they went to visit a shrine. At the entrance of the shrine were trinkets for sale. My friend held up a tiny pair of shoes and said, “Do these suit me?” My host mother said, “No no! Too small!” which is more than a language barrier — she didn’t understand my friend was making a joke. Even the word for ‘irony’ in Japanese is a loan word from English. There is also a native Japanese word (皮肉) pronounced ‘hiniku’ which literally translates as ‘skin meat’. The word comes from the four character idiom, which Japanese have borrowed from China over the centuries: 皮肉骨髄 “skin meat bones marrow”. In Chinese zen buddhism bones and marrow took on the meaning of ‘essential’, whereas skin and meat became synonymous with ‘superficial’. (Beauty is skin deep etc. in English.) From there, 皮肉 was also used as a word for criticising faults and defects, which stems from not recognising the true nature of something. So although Japanese does have its own native word for irony, it has narrower usage. 皮肉 works best for cynicism/sarcasm or dark/pessimistic irony, rather than the lighthearted variety. Irony may not go back as far as you think. When I think of how I communicate with my eldest relatives over the years, I void sarcasm and irony because that’s not the way my grandparents communicated. Like my Japanese host mother in the 1990s, they simply didn’t get it. Paul Fussell has a theory that irony only became common currency after World War 1. Before the war, certain themes and beliefs were common throughout western society. Class structure was well established, themes of bravery and nationalism were well entrenched, and there was an overwhelming belief in the continual and ultimate progression of mankind.1 All of these common beliefs were shattered by The Great War. In their place, a deep sense of irony developed. Skepticism, despair, and fatalism became the new norms. This is why Paul Fussell suggests that the irony found in contemporary World War I literature helped to shape the modern psyche. See: Irony and the Modern Psyche. Irony is a meaningful* gap between expectation and outcome. Irony = incongruities from the world of opposites. *Some outcomes are simply ‘incongruous’. There was no preceding expectation. This is not irony. This is ‘incongruity’. The outcome must upset the expectation. Some of these ironies only exist in the mind of the audience. Others occur in the mind of the character. Irony can happen on many different levels. Ideally, irony creates meaning. For example, a story in which the best minds are bringing America down is ironic because the audience would hope and expect that the best minds are helping America to succeed.